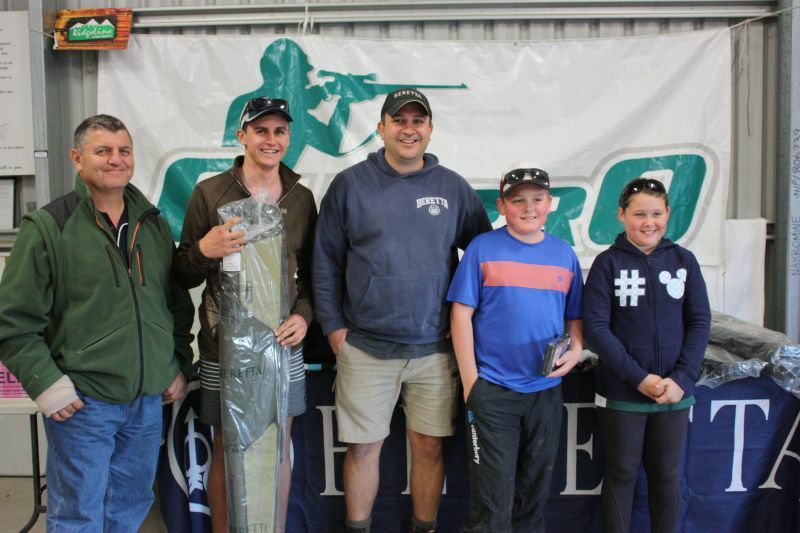 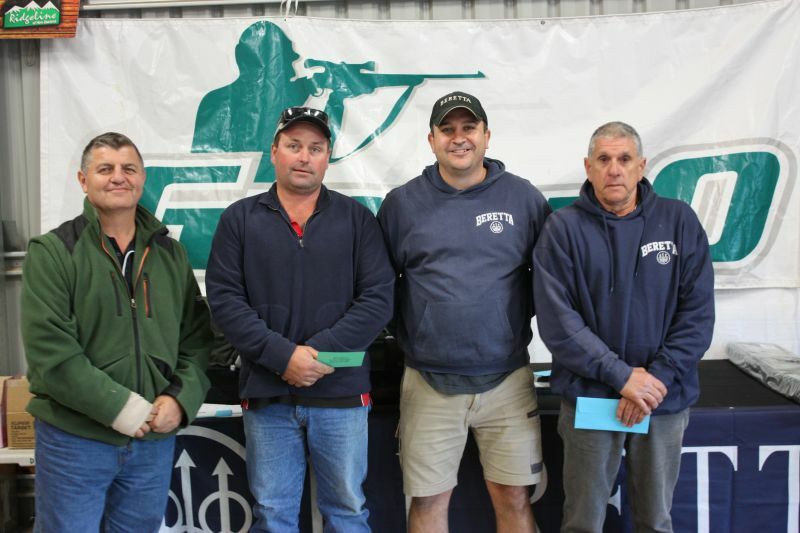 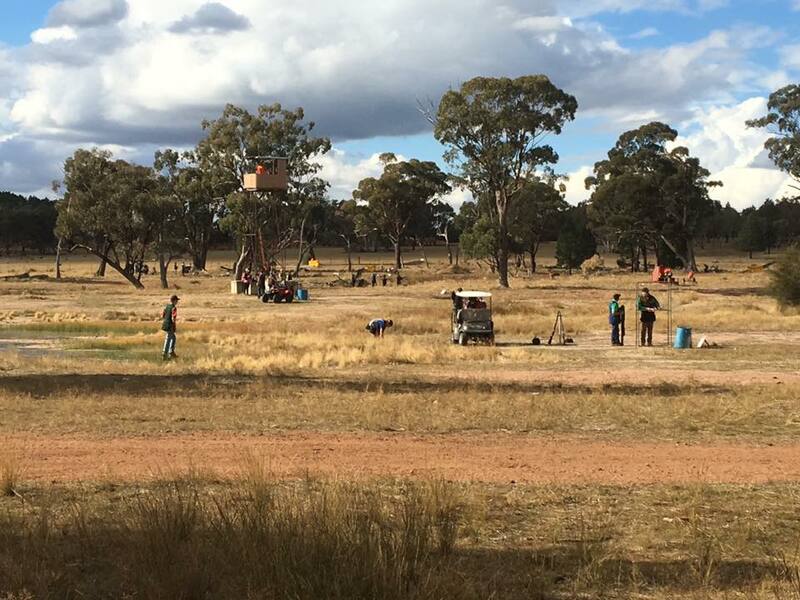 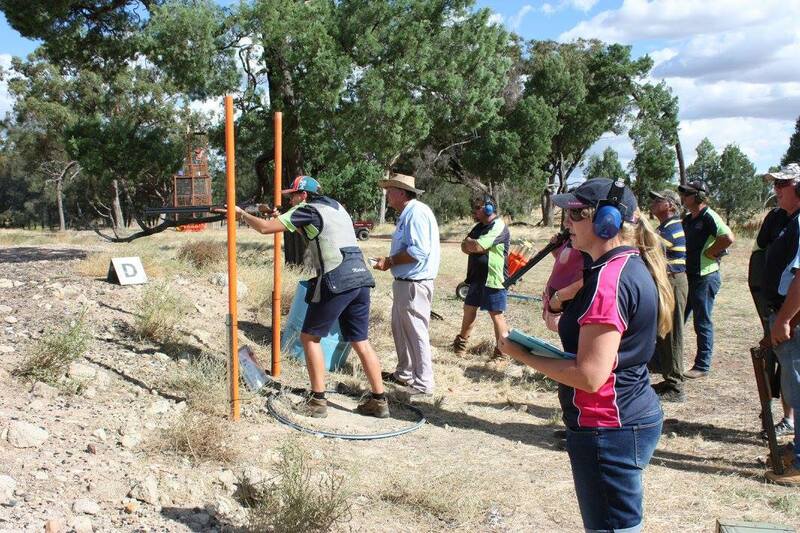 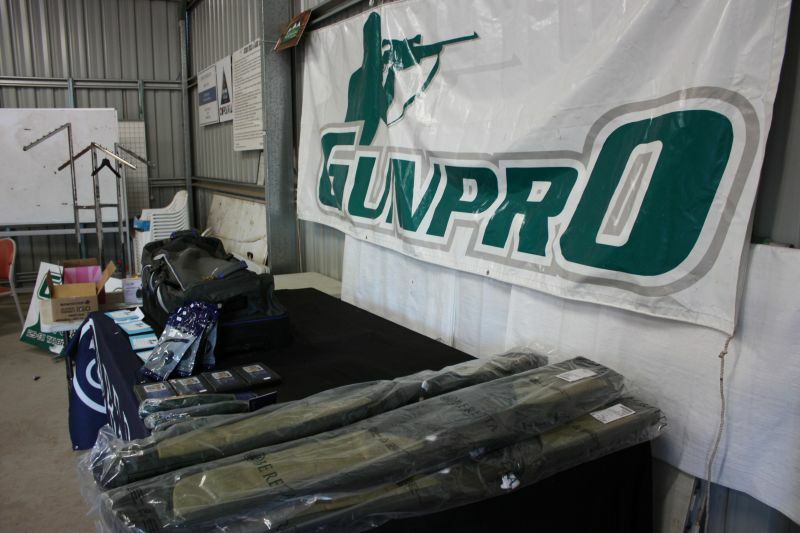 The Gunpro & Beretta Australia Shoot was held Sunday 7th May with 65 shooters contending for the fantastic prizes and bragging rights put up by the sponsors. 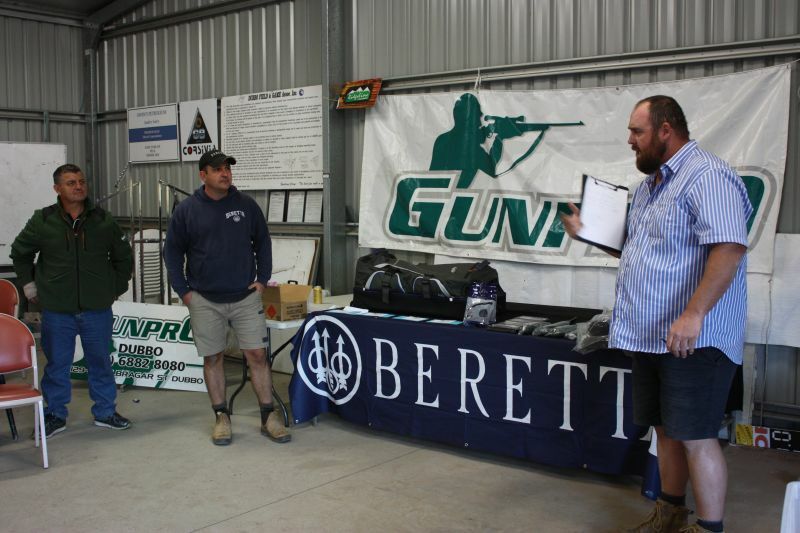 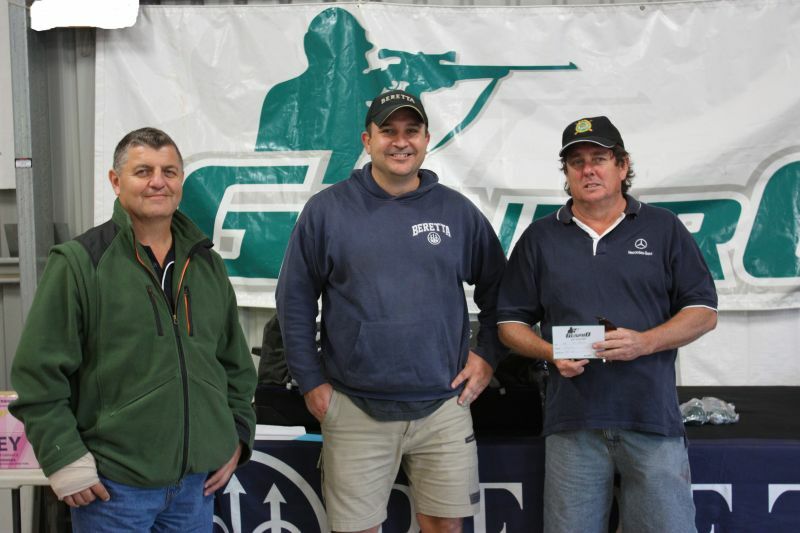 Martin Bourke and Nicky Bourke from GunPro along with Greg and Tony from Beretta Australia provided an assortment of services on the day for all shooters. 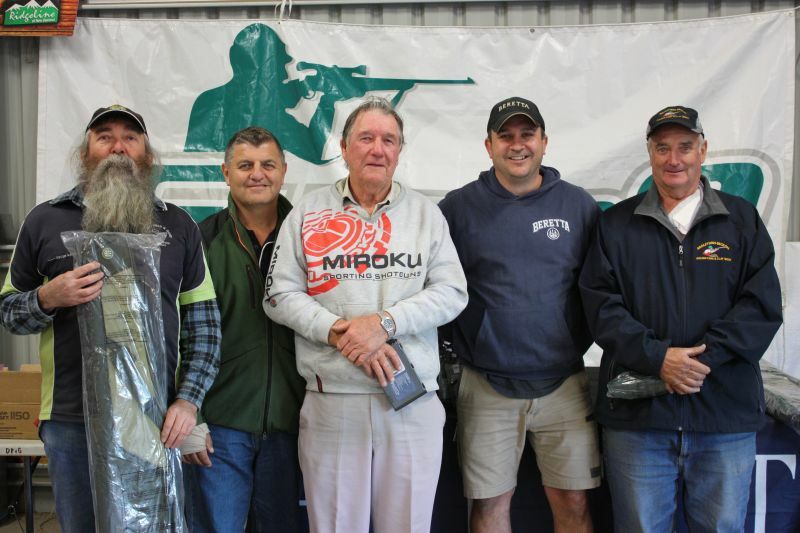 Many taking the advantage of the "try a new gun" on the mini range set up. 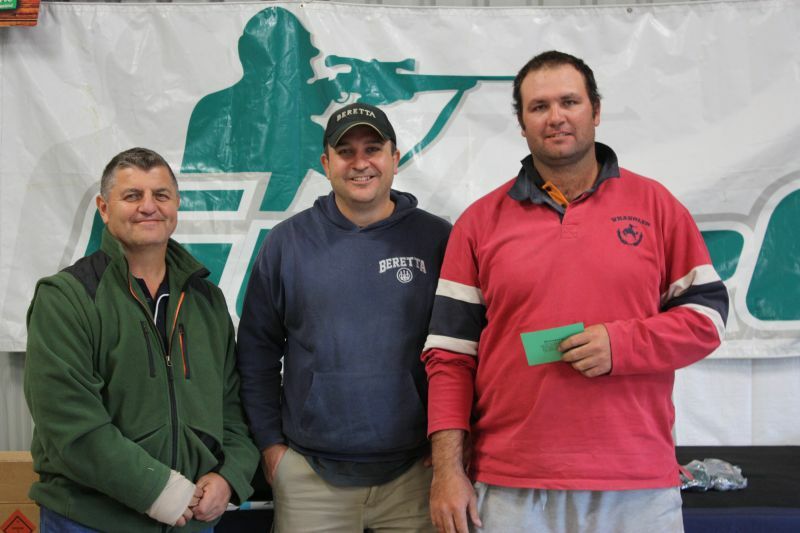 Tony and Greg were kept busy with fitting shooters and servicing shotguns on the day. 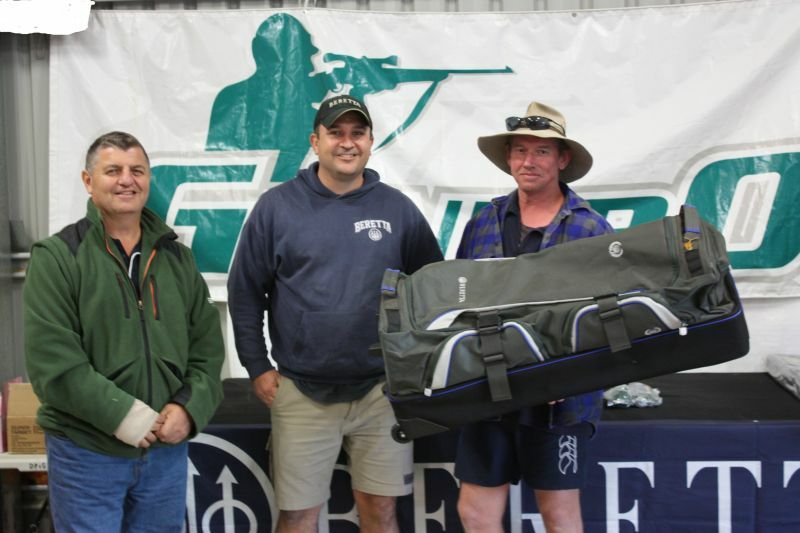 Congratulations to the Winner of the Sako 85 Deluxe Col Hazelton and the $1000 GunPro gift voucher went to Gordon Gilder. 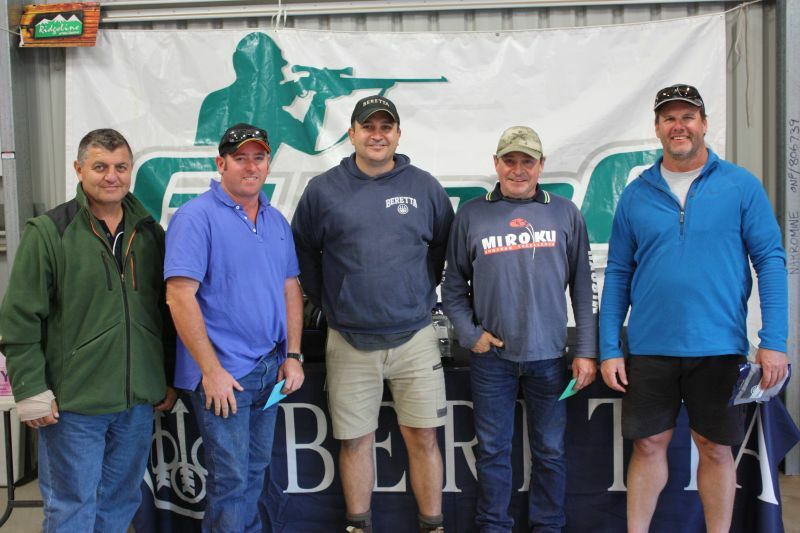 On Behalf of Dubbo Field and Game, would like to thank Marty & Nicky along with Beretta for their continued support of our club and sport. 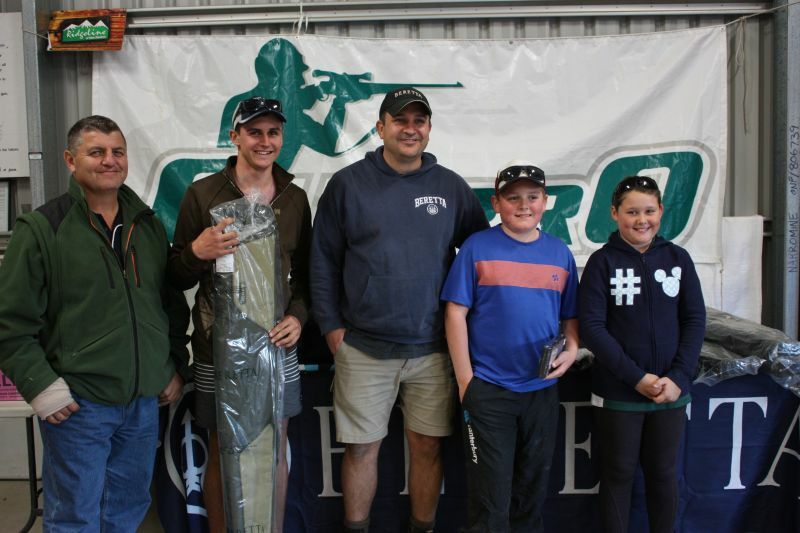 Winners on the Day were: High Gun with an impressive 91 Craig Mcpherson AA Grade - 1st Dean Delaney, 2nd Paul Purvis, 3rd Matt Powyer A Grade - 1st Luke Cross, 2nd Evan Speirs, 3rd Stuart Cole B Grade - 1st Jason A McGrath, 2nd Jake Guzelian. 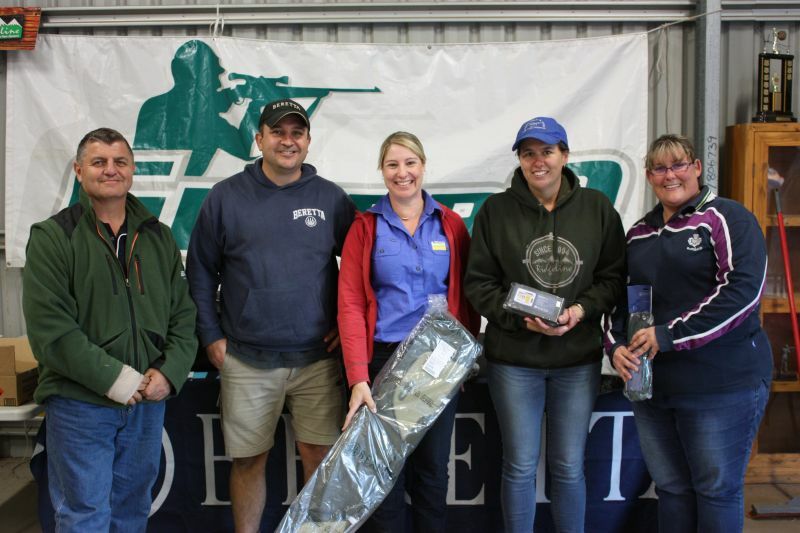 3rd Roy Butler C grade - 1st Nick Ridley, 2nd Peter John Tremble, 3rd Brad Sewell Super Vets/ Vets Combined - 1st Peter Kay, 2nd Laurie Redfern, 3rd Denis Coaker Ladies - 1st Amanda Madsen, 2nd Paula Grace Purvis, 3rd Michelle Hooper Sub Juniors/Juniors combined: 1st Tom McGrath, 2nd Gabe Rushton-Butler, 3rd Jack Speirs, 4th Abygael Rushton-Butler, 5th Charlie Hooper, 6th Thomas Cray, 7th Aliza Purvis This is fabulous shoot with an arrangement of targets being thrown for all levels of shooters. 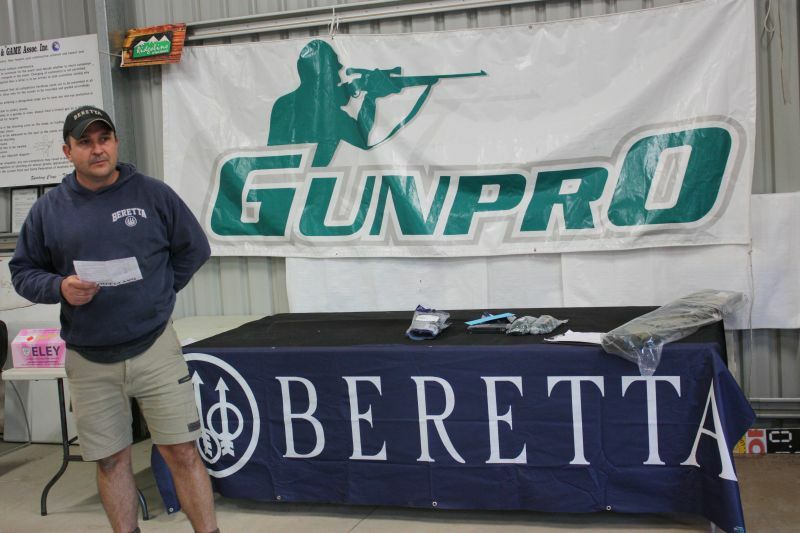 So make sure you mark the GunPro Beretta shoot in your calendar for next year!